Present perfect definition: The present perfect tense is a verb tense used to express actions that occurred at a non-specific time. The present perfect tense is also used to express actions that started in the past but continue to the present. The present perfect tense expresses actions that happened at a time that is not specific. It is important to consider that the TIME of the present perfect tense is unknown. She has passed the test. We have been a family of four since 1996. Let’s look at some additional examples to understand the uses of the present perfect tense. She has visited the Guggenheim. We have built a fence. They have been to France. These examples indicate that the action is completed. Furthermore, all of these actions occurred before the present. Each of these statements also expresses that the actions occurred over a period of time rather than a single moment in time. I have spent 20 years studying French. He has worked as an administrator for years. We have owned this house since 1985. These examples indicate that the action began at a time before now. Additionally, these actions continue on into the present and will likely extend to the future. These examples indicate that the action began before now. These actions are all completed actions. There are two other forms of the perfect tenses: the past perfect and the future perfect. What is the past perfect? The past perfect tense most often expresses actions in the past that finished before another action (also in the past) started. After she had called the customer service department, she was able to resolve her concern. She had had the item for years without ever calling the customer service department. If she had called the customer service department, she been able to resolve her concern. My husband asked if I had called the customer service department. I wish I had called the customer service department. What is the future perfect? The future perfect tense expresses actions that will be finished at some point in the future. By the she wakes up, we will have finished the movie. He will have traveled to Europe six times by next spring. Fill in the blanks to make the sentences into the present perfect tense. I ______ (to spend) 20 years studying this. She ______ (to live) in Washington for many years. We ______ (to know) each other since middle school. Define present perfect: the definition of the present perfect tense is a tense denoting an action that occurred at an unspecified time before now. 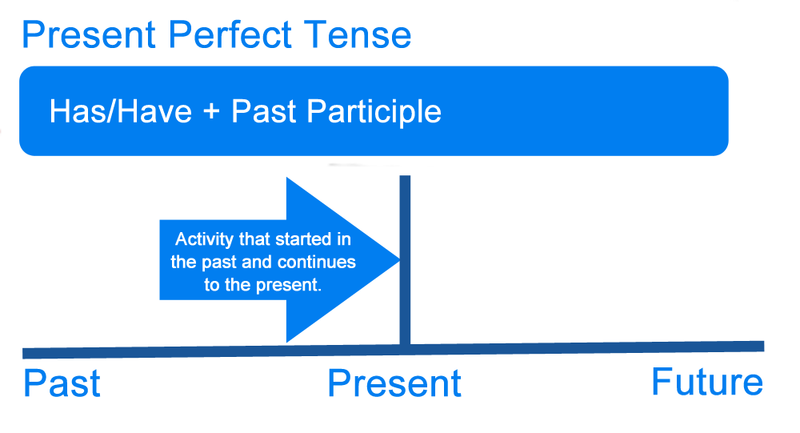 1 What is the Present Perfect Tense?